While the debate rages among fans over who might be the best live-action actor to play Batman, there is no such controversy when it comes to the voice of The Dark Knight � Kevin Conroy stands unchallenged for that title. As the voice behind the landmark series Batman: The Animated Series, Conroy set a standard that has cast a wide shadow over any other actor attempting to fill the role for nearly two decades. Conroy once again dons the animated cowl for the September 29 Warner Home Video release of Superman/Batman: Public Enemies. Warner Premiere, DC Comics and Warner Bros. 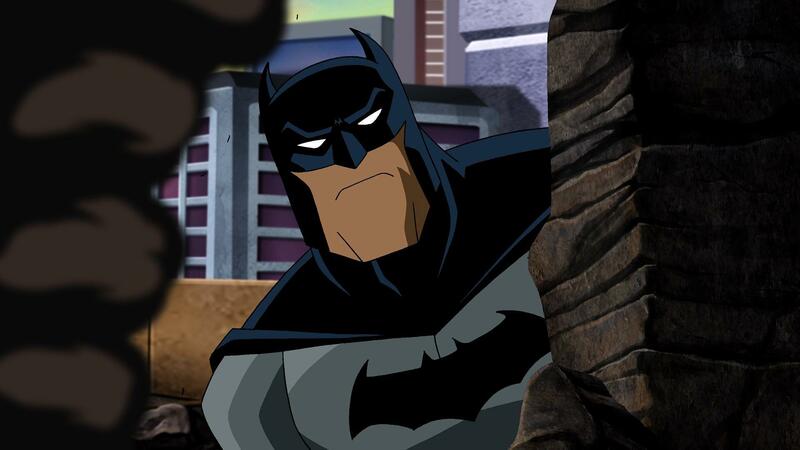 Animation will present the all-new Superman/Batman: Public Enemies in a Blu-Ray� Hi-Def edition, a special edition 2-disc DVD, and a single disc DVD. Warner Home Video will distribute the action-packed movie, which will also be available OnDemand and Pay-Per-View as well as available for download on Sept. 29. In Superman/Batman: Public Enemies, United States President Lex Luthor uses the oncoming trajectory of a Kryptonite asteroid to frame Superman and declare a $1 billion bounty on the heads of the Man of Steel and his �partner in crime,� Batman. Heroes and villains alike launch a relentless pursuit of Superman and Batman, who must unite � and recruit help � to stave off the action-packed onslaught, stop the asteroid, and uncover Luthor�s devious plot to take command of far more than North America. Conroy�s acting career has covered a lengthy gamut of performances on stage and screen, including soap operas and television series like Dynasty and Tour of Duty. His first audition for an animated voiceover role was in 1991 when he arrived at Warner Bros. hoping to land some of the character roles on an upcoming series, and walked out as the title character of Batman: The Animated Series. As they say, the rest is a grand and glorious history for Batman fans across the nation. You�ve been doing this role for nearly 19 years. Are there still challenges to doing the voice of Batman? I guess the biggest challenge to doing any kind of animation voice work is that you only have your voice to tell the story. And you want to keep it real and you don't want to get cartoony, especially now because the audiences are much more sophisticated. Anything over the top is going to read over the top. So it's a very fine line that people walk. For Batman, I think the biggest challenge is the timber of the voice that I established early on. I just kind of improvised it and it stuck. It's very deep in my register � very throaty � and whenever it gets emotional, it�s a difficult sound to create with a lot of volume technically without blowing your chords out. So there's all kinds of tricks you learn along the way of how to produce a sound, how to produce it without injuring yourself, and how to juice it enough. It's a delicate, funny balancing act. Recording Superman/Batman: Public Enemies was actually easy because of the cast that Andrea (Romano) put together. Tim (Daly) and Clancy (Brown) � all of us have worked together a lot over the years, and there's a real shorthand when you're dealing with people who have done a lot of it and know what they're doing. Which is really a pleasure. Andrea doesn't have to say very much for me to know what she wants. What do Tim Daly and Clancy Brown bring to their respective roles? Tim brings to Superman that strong voice, but there's also a real humanity to Tim as an actor and that really comes through. So there�s strength but there's a great sensitivity, and that's unique about his take on Superman. Clancy is great at being crazy. He's a very talented actor. He's got that great sound, that resonate voice. And yet when you've got that kind of power under you, you can afford to be very casual with it. It makes his sinister quality so much more frightening when this guy with this voice is just being very debonair. What can people expect to find different about Superman/Batman: Public Enemies than most crossover stories? There's definitely more humor in this because of the relationship they've created between Superman and Batman. It was really fun doing it with Tim because it almost became like a buddy cop kind of thing. There are not a lot of people that Batman can fool around with like that � that can take it and can dish it back. So I really enjoyed that aspect of the script. Batman and Superman have all these amazing foes. And yet Lex Luthor has no super powers. What makes Lex a great villain, and how does Clancy make him greater? Actors always want to play the villain � they�re a lot more fun. Think about it. The hero is just about being a good guy and, in life, we all want to be good guys. But when you're playing at something other than yourself, it's fun to do what is taboo. I played Edgar in a production of King Lear that John Houseman directed for Lincoln Center. Edgar is the good son in Lear and it's probably the hardest role in the play. I thought I did a pretty good job at it � although one critic was particularly unkind. Years later, I did a production at the San Diego Shakespeare Festival of Lear and I played Edmond, who is the force of evil throughout the play. The plot really revolves around Edmond's machinations. It was so much more fun to play Edmond because of the joy he took out of being evil. This guy is planning the downfall of his family, and laughing about it, and delighting in it. And it was a real blast to me. A couple years earlier I was busting my back for Houseman, doing Edgar every night, working so hard on a role that the audience doesn't care about. They want to cheer Edmond and how evil he is because it's so much fun. Clancy brings that joy to Luthor and the more ease he does it with, the more frightening it becomes. And he's really good at that. 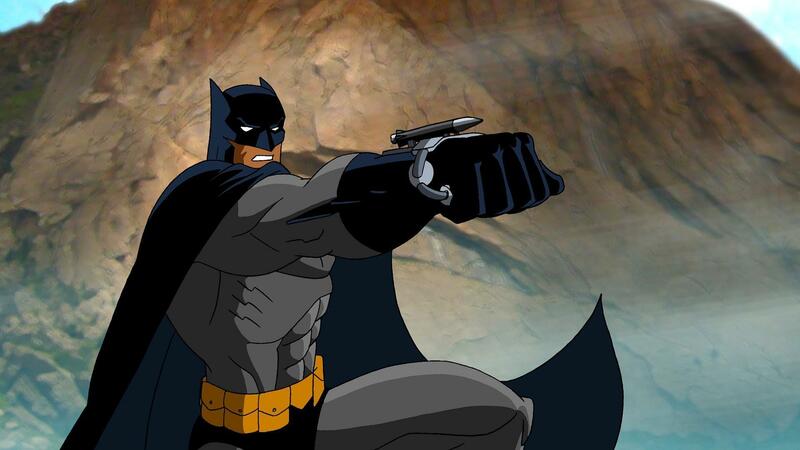 So what does Kevin Conroy bring to Batman? I guess I am basically most comfortable when I'm alone. As a kid, I was very much a loner. I love long distance running and long distance biking. A director once pointed out that those are all very isolated exercises you do for hours at a time. I think Batman taps into that quality of me, because my initial take on the character was that Batman wasn't the performance. Bruce Wayne was the performance. Batman is where he's most comfortable. The cave is where he's most comfortable. And he puts on this persona of incredible sophistication to be able to deal with the world just like I think everybody puts on a mask to deal with the world. Everyone has a private self and a public self. With him, it's taken to a real extreme. And I think I related to that aspect of him. I am basically a pretty shy person � I think a lot of actors are. That's why they get into acting � because it's easier to be free emotionally when you're pretending to be someone else than to be free emotionally when you have to be yourself. And I think Bruce has the same problem. 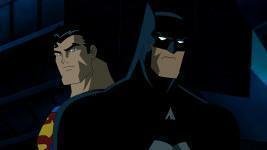 Is there still a cool factor for you to be the voice of Batman? Oh, yeah. It�s something that I'm reminded of a lot from people who enjoy the show. That's a very cool thing. I don't ever take for granted how cool a job it is and how lucky I am to have landed in it. It was the first animation job I ever auditioned for � and it just happened to all come together so well. But it was just pure chance. Were you a comics reader as a kid? Do you have a collection of Batman paraphernalia? What makes Batman the greatest super hero? Oh, that's easy. The thing that makes Batman unique as a super hero is that he has no super powers, and the darkness of his personal story. Everyone relates to having a personal dark story � his is just much more dramatic than most people's. Everyone is handed adversity in life. No one's journey is easy. It's how they handle it that makes people unique. Batman took adversity and turned it into something enormously powerful and positive without any superpowers. For more information, images and updates, please visit the film�s official website at www.SupermanBatmanDVD.com. Kevin Conroy provides the voice of The Dark Knight in Superman/Batman: Public Enemies, the next DC Universe animated original movie, which will be distributed September 29, 2009 by Warner Home Video. U.S. President Lex Luthor recruits super heroes to help keep America safe, and that includes hunting down the Man of Steel and the Dark Knight in Superman/Batman: Public Enemies, the next DC Universe animated original movie. Warner Home Video will distribute the film on September 29. Superman, Batman, and related characters and indicia are property of DC Comics and WB, 2009. The World's Finest and everything relating to this site - copyright, 1998 - 2009.